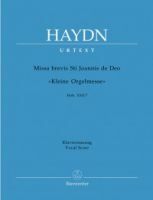 The  most popular vocal scores for Haydn's Little Organ Mass are shown below. 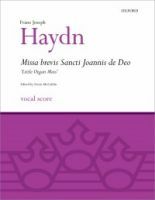 The Missa brevis Sancti Joannis de Deo in B-flat major by Joseph Haydn, Hob. XXII:7, Novello 8, was written in 1775 for the Barmherzige Brüder in Eisenstadt, Austria whose patron saint was St. John of God. Sometimes known as the "Kleine Orgelmesse" ("Little Organ Mass") because of the extensive organ solo in the Benedictus. 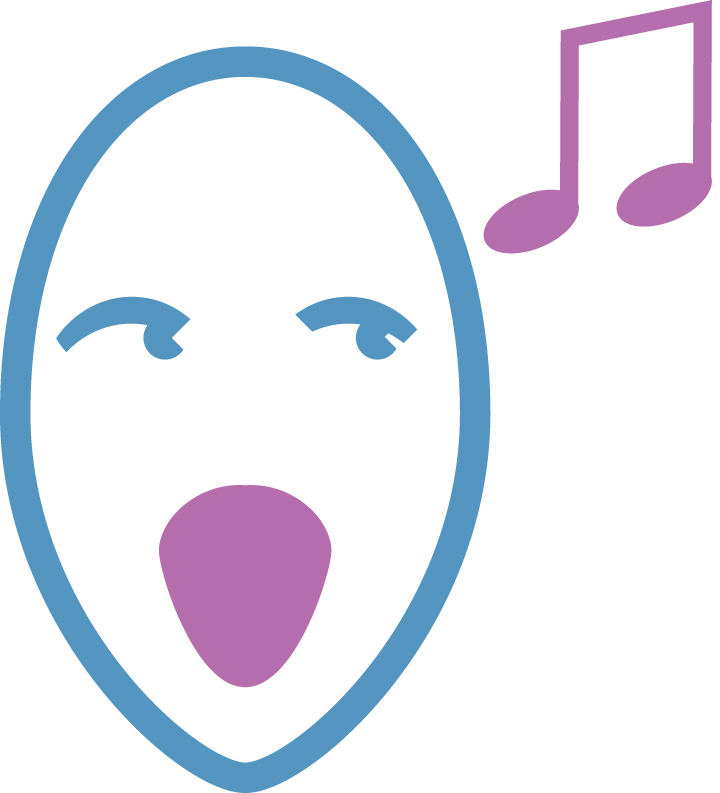 Originally scored for choir, strings and organ, there also exist versions with trumpets and timpani, and clarinets. 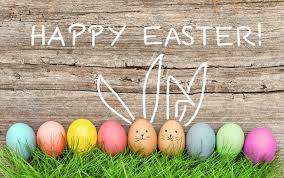 The setting of the Crucifixus is longer than in Haydn's previous Missa Brevis (the one in F). Being a missa brevis, "several clauses of the text [are set] simultaneously in different voices." This Mass was also used in Salzburg, where the textual compression was deemed "unacceptable" so Michael Haydn (Joseph's brother) expanded the Gloria. Very few performances however, use Michael's expansion. In the latter, the Gloria lasts less than a minute. However, the Oxford edition presents Michael's prolongation in the main body of the text and Joseph's short original as an appendix. Johann Georg Albrechtsberger wrote an alternate Benedictus. 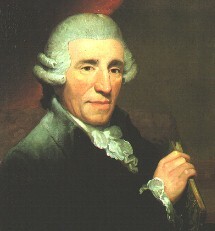 For further information of Haydn's Little Organ Mass  please click here to visit the Wikipedia website.